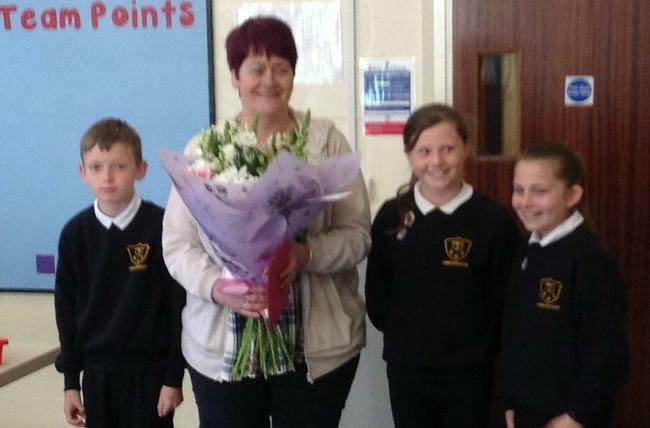 The whole school thanked Mrs Buchanan for keeping us safe crossing the road for many years. We will miss our cheery Lollipop lady. Thank you for all your dedication come rain or shine! Congratulations , to our year 3 and 4 Tennis teams who all played well on Wednesday and well done to Y4 who won the Cup. 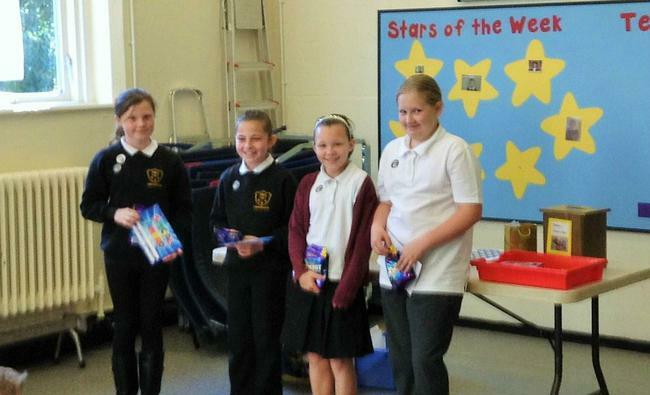 Well Done, to our four excellent year 6 pupils who have been awarded 'Fantastic' prizes this week. They are an asset to the school and we are very proud of you. 'Well done' to the many infant and junior children who took part in the wet and muddy Cross country . We were very proud of you all. In addition 'Well Done' to all the year 5 and 6 footballers who played well and came third ,in the larger Netherall competion. We are currently holding a half price book fair in school just in time for Christmas. As reading and writing is a major focus for our school we hope this will promote reading at home and ignite their passion for reading. We are collecting for the Cumbria Foodbank again this year. If you would like to donate to this then please drop your donation off at the collection point in the front entrance in the box provided. Please can you only donate the items that they are currently asking for. These are; tinned vegetables, tinned meat, pasta sauces (jars or sachets), sugar (small or large bags), milk (UHT full fat or semi-skimmed - no red milk), sponge pudding, instant coffee and jam (not homemade). On Friday 2nd October we are holding a reading morning for parents of children in Nursery, Reception, Year 1 and Year 2 from 8.50am until 9.30am. Please come into school with your child and join them in class. You can read with your child and complete reading activities. You will also have the opportunity to talk to your child's teacher and ask any questions you may have about reading and phonics. On Friday 25th September from 9.30am until 11am we are taking part in the world's biggest coffee morning to help raise funds for Macmillan cancer support. Come along and join us for a cuppa and a cake or two! We will also be having acouple of games such as faked or baked? Guess the spots on the cake? And a cake raffle. Everyone is welcome so bring along your friends and family. The more the merrier! We would welcome any cake donations big or small. If you can't make it but would still like to make a donation they will also be most welcome. We hope to see lot's of you on Friday!